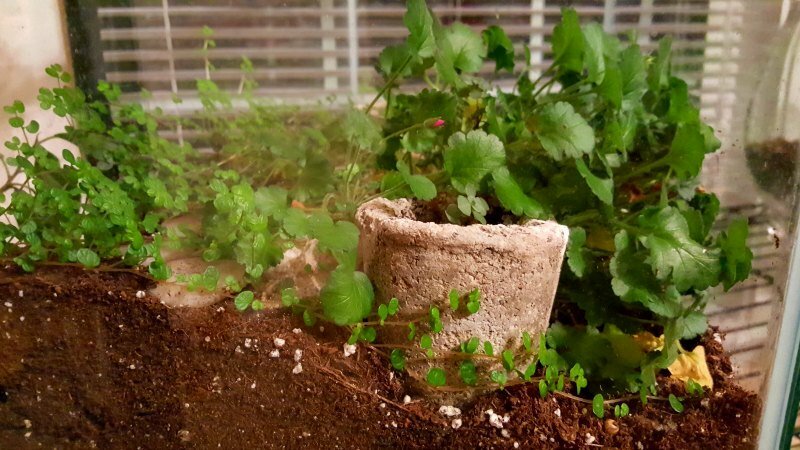 What are some of the plants that I have been choosing for hypertufa planters? Well, there is not just ONE that I love, so I will try and make a series of suggestions . These are ones I prefer for well-drained hypertufa troughs, since that’s my addiction or obsession. 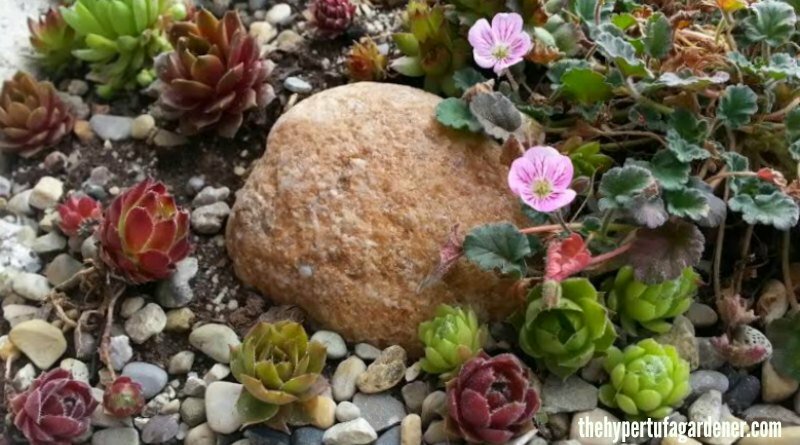 I am totally in love with this little plant which looks like a tiny geranium. It is called Erodium reichardii “Bishop’s Form” Stork Bill. I think the term storksbill is used just as the term cranesbill is used for its larger look-alike, the geranium whose spent flowers look like a crane’s bill. These do too! I don’t know how you feel, but when I hear that “it is an excellent groundcover that blooms all season”, I am sold. Words to get my heart going pitter-patter. I like for plants to bloom all year so that I have color continuously. 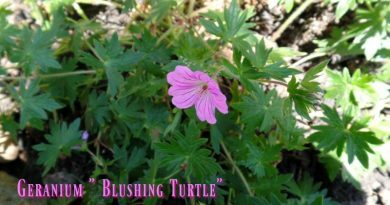 The little darling two-toned blossoms have dark contrasting veins of a rosy pink in this variety, and are enchantingly tiny, about the size of a dime. What’s not to love? The leaves are rounded and scalloped. This tiny beauty shines in early spring and continues through summer covered with small cupped blooms of rosy fuchsia-pink. Since it likes sunny and well-drained sites, it is perfect for my hypertufa planters. 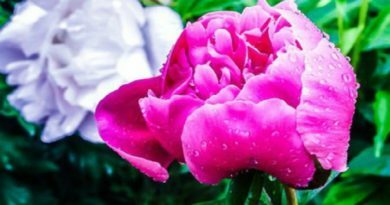 I have some large troughs that I planned to put something in that flowered, so to stumble upon this beauty that blooms all year….what more can I ask! And it did bloom all year in that trough and in the others I had it planted in. This plant was not hard to find here in Ohio. It was at the local garden centers at prices of $4 to $6 for a small coffee-cup-sized pot. Last year, when I got it planted, and saw how cute it looked, I went back and got two more! I had it in a trough that I planted in April with semps and jovibarba and some coral reef and pork and beans. 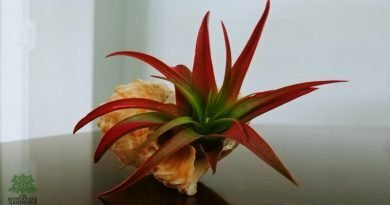 Do you have this plant? and if so, how do you like it? I hope to write about more of my plant finds. So come back for another visit, or subscribe! This plant did not survive the winter in my Ohio garden zone 6. I have checked the information of the plant sticker and it says , as I have noted above, that is grows from zone 3-7. I have written a letter to the grower’s questioning this. This should not happen since I had it optimally planted and well drained. I am waiting to hear back from them. But I love them so much, I went back and bought more. They are worth it even for one season. I never ever heard back from the growers, but I have been buying the plants when I find them. I ADORE this little plant. This winter, I have kept it inside and it is blooming now. 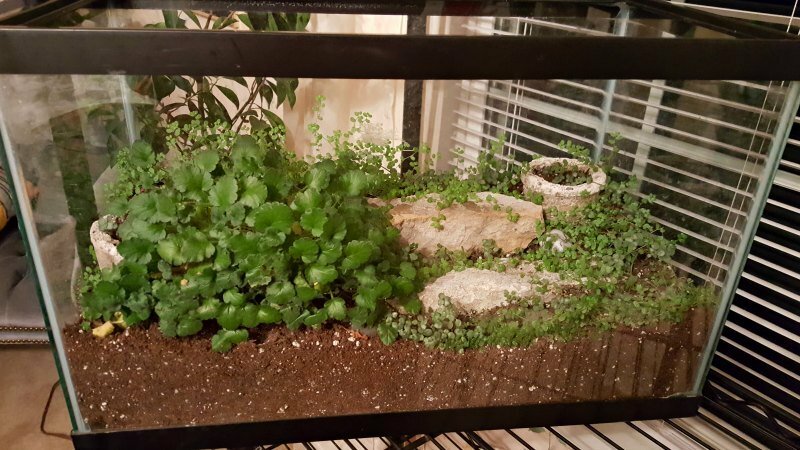 It is in an old aquarium and I will put it outside when it warms up. And I will snap up any I see for sale. I bought about 5 for our Community Rock Garden just outside Bellbrook and they just spread and bloomed all summer long. No blooms just now. I should have taken the photo last week. Those are stones and small hypertufa pots planted with baby tears. I will see how it does this year outside. 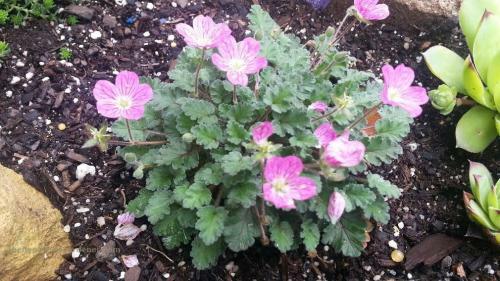 The only thing I worry about is the Erodium not having a “resting period” of some sort. I just hope the fact that it bloomed only occasionally over the winter counts as its rest. One more side view of the aquarium ( 5 gallon small ). 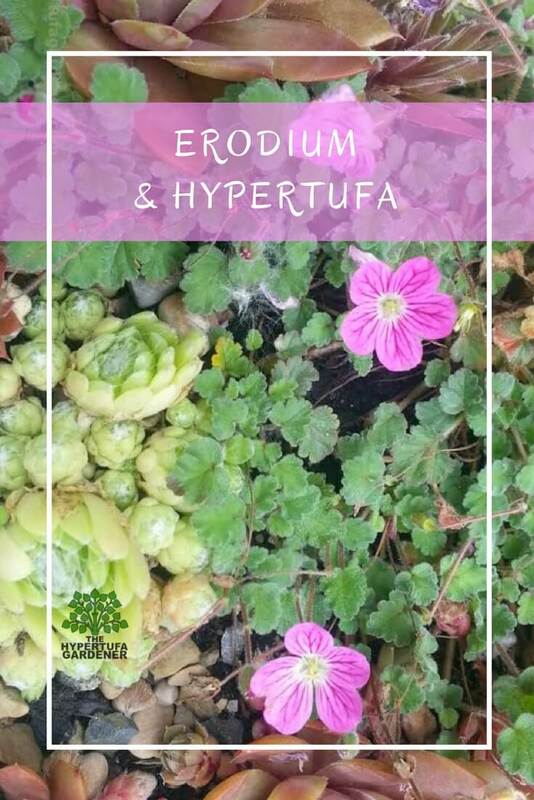 The erodium is not planted inside the little hypertufa, just baby tears and some pilea. Look at that bud at almost center of photo…..isn’t it precious?